The year is 1920 and the house isolated in the wilderness has a secret. It is waiting for the curse to come true. For years, everyone who has bought t...More. A retired police commissioner recounts the most memorable case of his career, wherein he was informed about a bomb scare in Mumbai..
A doctor of Indian origin returning to Mumbai from London is forced to participate in a terrorist plot.. The film follows the journey of Raj Sharma (Ranbir Kapoor) from the age of 18 to 30 and how he meets three girls at different stages of his life : Mah...More. Banku, his mother, Anjali Sharma and father move in to their new house -- the Nath villa, unaware of the fact that the house is inhabited by a ghost. ...More. A substance-abusing model believes that her wealthy boyfriend's brother molested and killer her sister.. Racial integration is Elena's profession and passion, not only filling her working day as a cultural mediator assisting immigrants, but spilling over ...More. Akshay Kumar is a crime reporter, Mr. Joshi is a retired accountant trying to deal with his ungrateful son and Lambodar are friends. These three share...More. 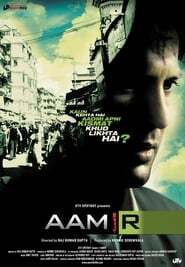 A traumatized child becomes a political activist but agrees to become an assassin upon being captured..
Paglu, Amu & Abhi live the lives of each other. They drink, eat & sleep together. 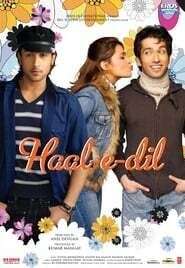 Amu is a girl amongst the two guys, though Paglu & Abhi ...More. At a Bangkok 'Asian Bhai Meet' the Godfather meets with several gangsters, reviews the reduction in revenue, and decides to induct fresh blood. While ...More. Two straight guys who pretend to be a gay couple to secure a posh Miami apartment fall for their gorgeous roommate. Hilarity ensures as Kunal and Same...More. Aditya is an orphaned and lonely young man. He soon learns that he belongs to a family of ancestral warriors who guard a mystic source of cosmic energ...More. 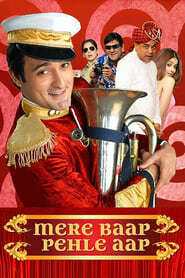 Bhopal-based statuesque singing beauty, Chandni Shrivastava, falls in love with wealthy fellow-singer, Prem Ajmera. Her widowed dad, Bhushan, and his ...More. Fashion begins in, where aspiring model Meghna Mathur (Priyanka Chopra) expresses her wish to go to Mumbai and pursue her dream of becoming a supermod...More. Durell and LeeJohn are best friends and bumbling petty criminals. When told they have one week to pay a $17,000 debt or Durell will lose his son, they...More. Sanjay a rich tycoon suffering from short term memory loss due to being hit by a metal pole when trying to intervene on his girlfriend's murder. Becau...More. At the end of the worst day in his life, Arun Prajapati (Salman Khan) angrily rages against God for making his life miserable. To his astonishment, Go...More. Golmaal Returns, the much-awaited follow-up to the uproariously comical smash-hit Golmaal, arrives with a renewed star power, chartbusting music and m...More. While traveling by train Shekhar attempts to woo Sanjana Sharma, but finds out she had given her heart to a former boyfriend, Rohit, who is no more. B...More. Ashfaque (Ajay Devgan) is a small town boy aspiring to be a film star in the Hindi film industry. He joins a street theatre group run by a reformed da...More. When Chand arrives in Brampton, Ontario to meet her new husband, she leaves behind a loving family and supportive community. Now, in a new country, sh...More. Hello... is a tale about the events that happen one night at a call center. Told through the views of the protagonist, Shyam, it is a story of almost ...More. 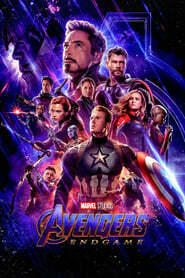 The children of the Avengers hone their powers and go head to head with the very enemy responsible for their parents' demise..
Hijack is an action thriller. 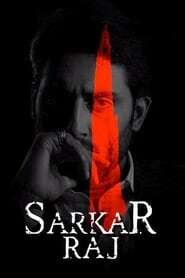 The film revolves around Vikram Madan (Shiney Ahuja) who is a ground maintenance officer at the Chandigarh airport. His ...More. A stockbroker who moves into a flat finds that he cannot sleep because of the loud whistle blown by the night-watchman. This leads him into conflict w...More. Jaane Tu... 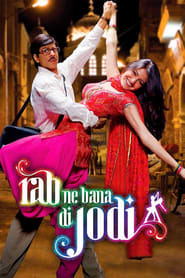 Ya Jaane Na (translation: Whether you know... or not) is a 2008 Indian romantic comedy film, written and directed by Abbas Tyrewala. The f...More. 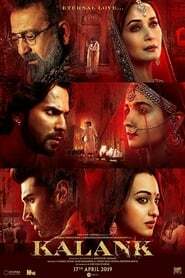 Jodhaa Akbar is a sixteenth century love story about a marriage of alliance that gave birth to true love between a great Mughal Emperor, Akbar and a R...More. Kanchivaram is a 2008 Tamil drama film directed by Priyadarshan..
A fortnight before her eighteenth birthday, Sonia goes missing. Her family receives a call informing them that she has been kidnapped and her estrange...More. This is a story about an architect Raj Malhotra. While he was a top student in his school and college days, he is not having much luck finding work, c...More. Tells the story about Karan, a young, spirited, sporty boy who lives life off the rules and Sana, a young petite, shy girl who lives life by the rules...More. When the Kalakar Theatre Company, a theatre group in Goa, attempts to stage a political drama, the local authorities close down the play and force the...More. 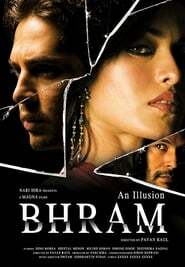 The caption of the movie says, "How would you murder a man who has already committed suicide". The story revolves around 6 characters a one time famou...More. As if running a mall is not enough, Gaurav Rane has also to bail out his widower dad, Janardhan, as well as Madhav Mathur, several times from police c...More. Mission Istaanbul: Darr Ke Aagey Jeet Hai! A promising journalist Vikas Sagar (Zayed Khan) is offered a position to head a controversial news station in Istanbul by its owner Owais Husain (Suni...More. Manikchand Khiralal is a struggling model who gets kicked out by his mentor, Dolly, when she finds another boyfriend; Lalabhai Bharodia has no busines...More. Hoshiarpur based Gopi's dying father asks him to locate Kishen and hand-over a piece of land to him, and subsequently passes away. Gopi heads out to G...More. Shortly after 1800 hours, 11 July 2006, Mumbai was shattered by seven bomb blasts on Western Railway stations: Matunga, Mahim, Khar, Bandra, Jogeshwar...More. Laxminarayan lives a poor lifestyle in Mumbai along with his widowed mother, Kanta, who wants him to be a successful gangster like Batlabhai, and woul...More. Inspired by the incredible true story of Lucky Singh, an extremely charismatic and fearless confident man and thief who socialized with the rich, famo...More. A realtor fires one of his co-workers and out of spite, the co-worker and his wife does black magic on his daughter. Being an atheist, he shuns his mo...More. A lonely 40-ish man, likely to remain a bachelor, has a chance to find the love of his life when he falls for a vivacious young woman..
Terminal Island, New York: 2020. Overcrowding in the US penal system has reached a breaking point. Prisons have been turned over to a monolithic Weyla...More. Sakshi Shroff, the lonely and neglected wife of busy banking executive, Aditya, decides to give him a surprise on his birthday on July 22nd, but ends ...More. When Anita Raja, CEO of Sheppard power plant, brings a power plant proposal to set up in rural Mahrashtra before the Nagres, insightful Shankar is qui...More. 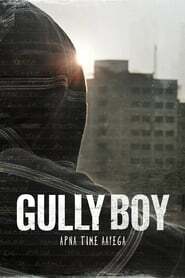 Shaurya, revolves around the lives of two close friends, both lawyers in the Indian army.Maj. Siddhant Chaudhary and Maj. Akash Kapoor.Siddhant is def...More. Jamal Malik is an impoverished Indian teen who becomes a contestant on the Hindi version of â€˜Who Wants to Be a Millionaire?â€™ but, after h...More. Jeetendra Kumar Makwana is employed full-time at a Call Center and works part-time teaching English. He is recruited by an attractive young woman, Poo...More. Employed with 'We Care Rehabilitation Centre' for the mentally challenged, wealthy Dr. Sonali Sanyal decides to take four patients, methodical Mukherj...More. One day they pray to God for help and he does help them. He sends his most mischievous, childlike, lovable angel to the rescue, with a mission to brin...More. 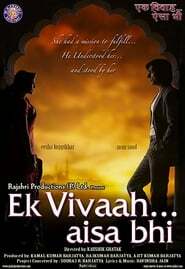 The movie starts with Ajay (Ajay Devgan) telling a boy that he should make his move on a girl he likes. The boy (who is his son) tells him that if he ...More. It is a story of Kabir, a carefree guy who has been studying engineering for the last ten years now, whose life goes for a sixer when he meets the qui...More. Mahadev (Shreyas Talpade) is an unemployed graduate with a Bachelor of Arts from Satna college, who is forced to make a living writing letters for the...More. Yuvvraaj is a musical story of a fragmented family of three brothers Deven Yuvvraaj (Salman Khan), Gyanesh (Anil Kapoor) and Danny (Zayed Khan) fighti...More. Liam Case is a garbage man whose life hasn't quite turned out the way he expected it would. In order to impress the girl of his dreams, Liam plans an ...More. A theater director struggles with his work, and the women in his life, as he attempts to create a life-size replica of New York inside a warehouse as ...More.